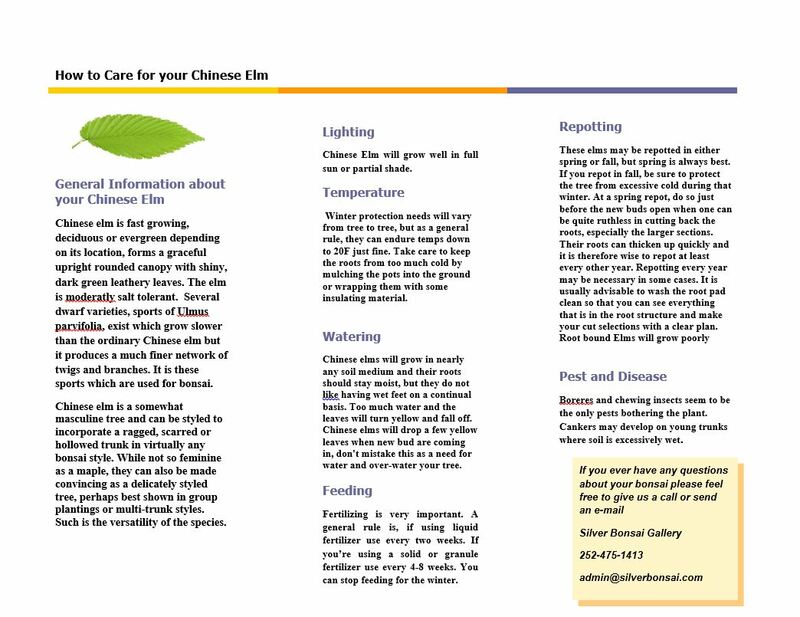 Chinese elm is fast growing, deciduous or evergreen depending on its location, forms a graceful upright rounded canopy with shiny, dark green leathery leaves. elm is moderatly salt tolerant. Several dwarf varieties, sports of Ulmus parvifolia, exist which grow slower than the ordinary Chinese elm but it produces a much finer network of twigs and branches. It is these sports which are used for bonsai. Chinese Elm - Ulmus parvifolia Chinese elm is fast growing, deciduous or evergreen depending on its location, forms a graceful upright rounded canopy with shiny, dark green leathery leaves. elm is moderatly salt tolerant. Several dwarf varieties, sports of Ulmus parvifolia, exist which grow slower than the ordinary Chinese elm but it produces a much finer network of twigs and branches. 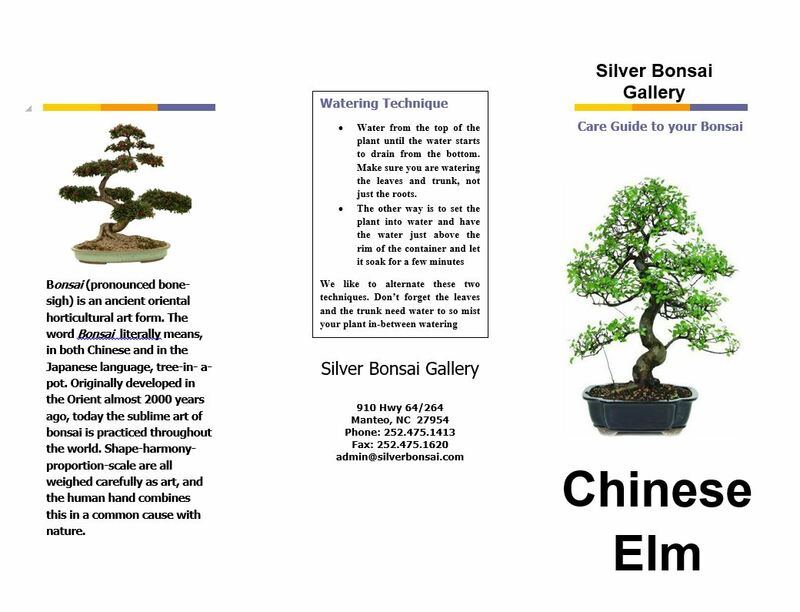 It is these sports which are used for bonsai.